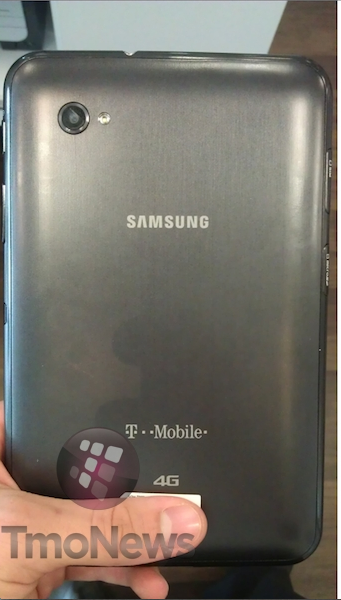 We’ve been hoping to get a look at T-Mobile’s next tablet and now we have with some just received images of the “Galaxy Tab Plus,” the follow up to the original Galaxy Tab 7″ complete with 4G HSPA+ on board. We’re told the boot screen loads to say “Galaxy Tab Plus” which is the first time we’ve heard this name used associated with this model. Our source says the addition of the TouchWiz UI is actually a “phenomenal addition” and the “user experience is simple and fun.” Unfortunately we weren’t able to get any quadrant specs, benchmarks or a list of specs but hey, we’ve got pictures! No word on a release date or pricing but we hope to see this one soon! Agreed, I am Android all the way but nothing compares to an ipad2 when it comes to overall fluidity and native apps. I would never spend that kind of jack on these devices. I was one of the lucky ones to score an HP touch pad for $100 and it’s ok for browsing the web and that’s really it. At that price I purchased it to have a dual core device that will run Android very soon. Nice! 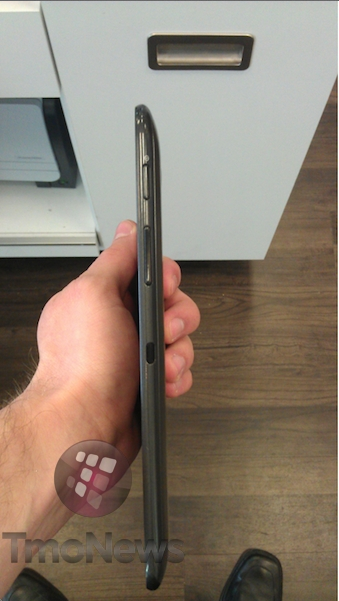 looks a lot like the leaked Next-gen Galaxy tab 7’s from a few months back, this must be it. ask if they can send more pics of this please!! Looks like something I might be interested in. Its just a Galaxy Tab with 4G and HC? Rather see the 7.7. That device is gorgeous and has amazing specs. 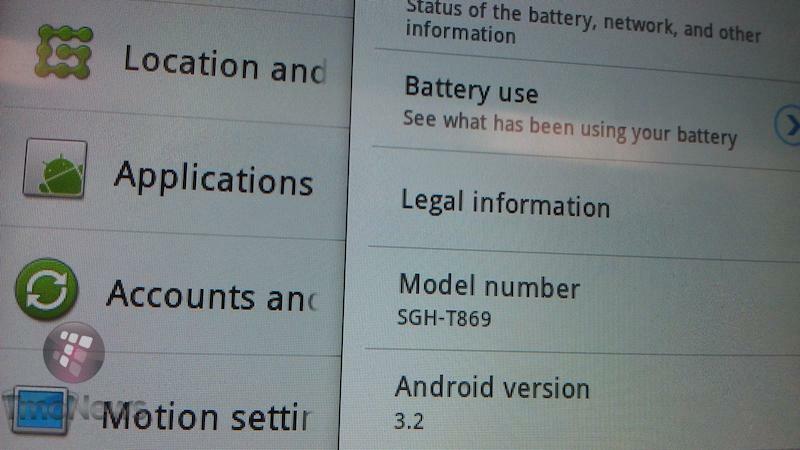 Is this is galaxy tab 7.7 with super amoled ??. AND 1024X800 ?? Yea, which one is this Galaxy Tab+? 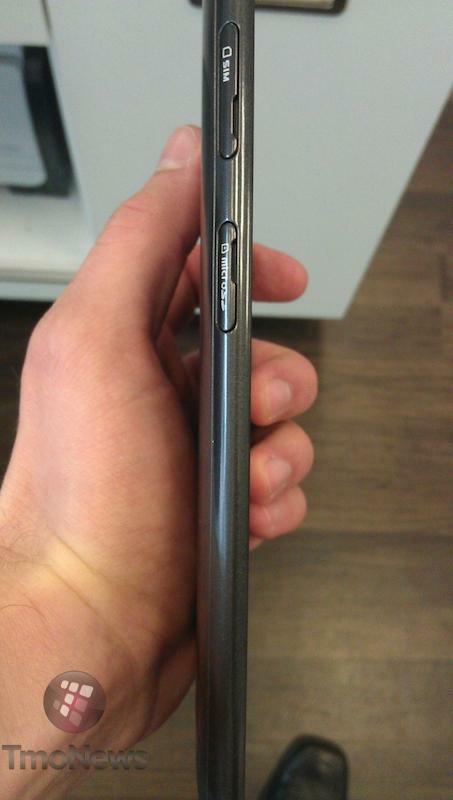 An updated 7″, or that new 7-8″ with the SAMOLED screen (which I doubt)? or is this the 10″? I have the original 7″ Galaxy tab on tmo, and the unit pictured looks bigger when held in the hand. That, or the person taking the photos has really small hands. This is nice, I like the 7.7 Samsung showcased a couple weeks ago along with the Galaxy Note if this is that same Tab i will purchase this. I really want a Tablet, but I gotta see what the price of it though. Right now Archos has my hard w/ their G9 80 tablet for $300, with 2 camera’s & the latest version of Android (I think). You mean you couldn’t take a full shot of the front ninja? More on the way as soon as I can! Every time I went to do something cool with the device it caught the watcher’s attention. Now I need some confirmation about the Galaxy Note. Probably be $800 after $300 mail in rebate and 2 year contract. ok so now we know many things with this reveal,, I now have confirmation that GT-P7560 which just passed Bluetooth certification is this Galaxy Tab Plus 7-inch and the mysterious P8 galaxy tab from verizon leaked roadmap 2 months ago is non other than the 8.9-inch tablet. will there be a wifi edition. disappointed at lack of wifi edition for so long on original. Carriers know that a sucker is born every minute they sell a tab. can i make phone calls with it like the rest of the world? if not what a waste and another stupid decision by tmobile like lat time as well as like sprint. Unfortunately the whole world does have their phones integrated into their tablets but NOT the US market. This is done to make sure that you have at least two devices so that the company can sell you two products. The word is collusion and it means that the 4 major cell phone carriers in the US got together to make sure that this feature was not on our hand held devices. This should be addressed by the Department of Justice. It is illegal and stops competition. Does anyone know the measurements of this device? It kinda looks like a giant Samsung Note. $549…Ain’t gonna happen Samsung! If it was Unlocked and had Data AND PHONE functioality, then MAYBE Yes…that would be your ONLY edge against Apple’s iPad at this price point. Hasta la Vista Samsung. No Comprar. Just not the kind of commuter who needs to get a ton of work done in spreadsheets or word documents. But if you want to catch up on a week’s worth of television shows and immerse yourself in a game, this will make long train rides a lot more bearable.